I know all of us have that one particular artist that we fangirling over...okay maybe not ALL of us but majority do. Well, my forever favourite group is Bigbang (yeah, I'm a Kpopper). 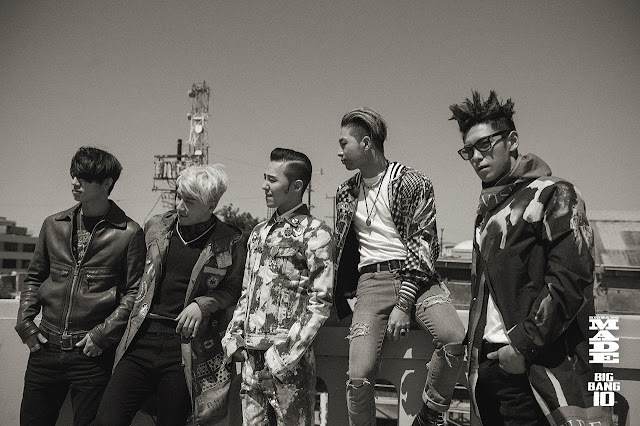 The group consists of 5 members, GD, Taeyang, Daesung and my bias, TOP. I can't say that I followed them from the very beginning, which was 10 years ago because I know nothing about Korean entertainment back then. I also can't tell exactly when I first heard about Bigbang or when I first listened to their song because I don't really remember. Teehee. I just became their fanatic fan (I'm saying REALLY fanatic) when they released their 'ALIVE' album back in 2012. But even before ALIVE came out, I did listen to their old songs. At first, it fascinated me that I could actually enjoy listening to their music even though I have no idea what the lyrics were about. But then I guess it's because of the melody, or is it called rhythm?. I'm no expert in music but I think everyone loves the melody first before we actually listen to the lyrics. However, ever since I started to listen to Kpop, I tend to look at the lyrics first before letting myself addicted to the song as I afraid the lyrics might contains something I shouldn't sing along to, especially religion related things. So I've read every lyrics to the songs and I madly in love with lyrics to the song 'blue'. And after idolizing these guys for years I finally got the opportunity to attend their concert in October. 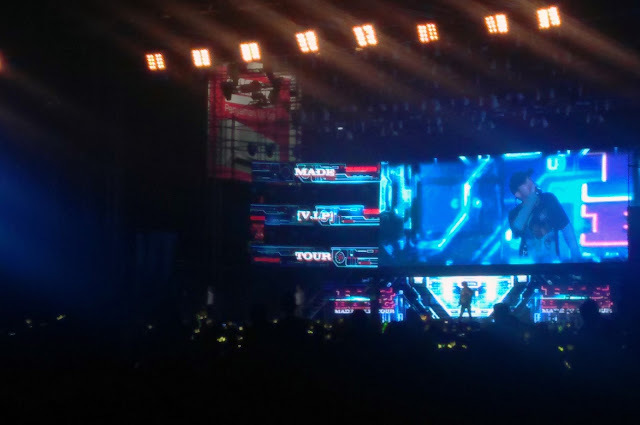 Even though TOP wasn't there, the concert still was amazing, I can't get over it for few weeks and I still can feel the excitement as I recalled it. Here is a photo of the concert, a poor quality, I knoww. They just released few new songs, their final as five members of Bigbang before they start their military duty one by one, starting from TOP on 9th Feb *crying a river*. Click the link below to watch the MVs (if you're interested), also to contribute on the view counts. I don't think I will ever get over Bigbang. So who's your favourite artist? high five for VIP ! yeah hongki's voice damn hot. I love him too! Terima kasih sudi berkunjung blog kakak..